If you have decided to get dental implants, you may now be wondering what the process is and how to prepare for your treatment. 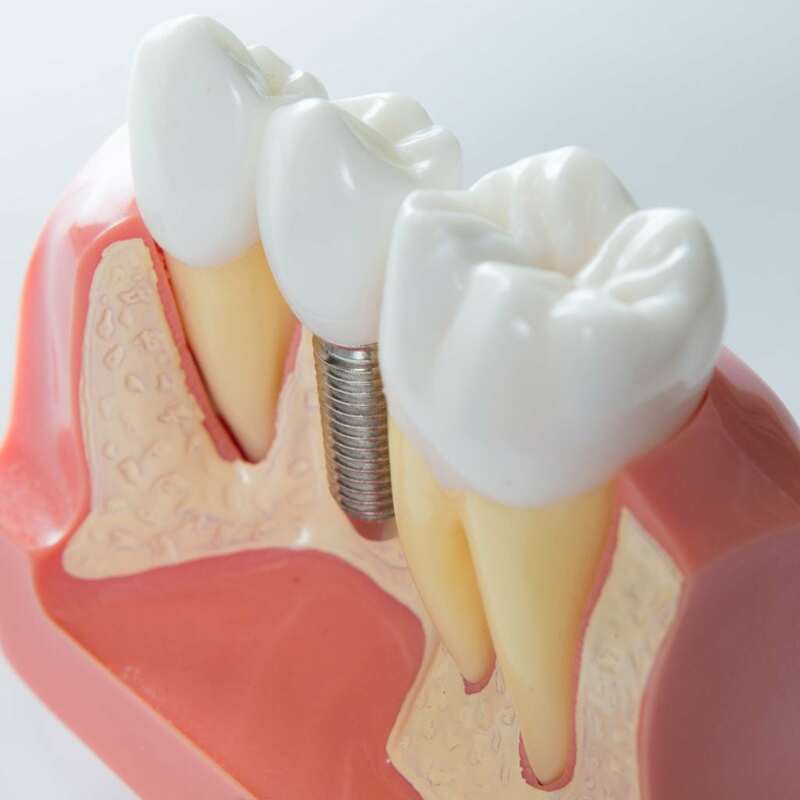 Understanding the dental implant process is an important part of preparing yourself for the procedure and will help you to feel more prepare and at ease the day of your procedure. In addition, there are certain things your dentist will need to do before the procedure to help plan for dental implants. Dental implants replace tooth roots with metal, screw-like posts and replace damaged or missing teeth with artificial teeth. Because the artificial teeth are essentially screwed into the jaw bone, they are a more durable alternative to dentures or bridges. Since they are screwed into the jaw bone, they do require a surgical procedure and many months of healing. However the recovery time after surgery is relatively quick. It only takes so long for the implant to completely heal because of a process called osseointegration in which the bones fuse around the implanted screws, locking them in place. In order to plan for a dental implant procedure, one of the first things your dentist will do is to take x-rays, panoramic x-rays, or a 3D CT scan. This will help them to identify any possible issues within the bone or gums. It will also help them to get a better look at the condition of the jaw bones and how much bone mass is available. Sometimes, if an area is lacking the proper bone mass, a dentist may recommend a bone graft. Bone grafts are when bone tissue is extracted from one place in the body and injected into another place. Eventually this bone tissue will merge with existing bone tissue and harden, increasing the bone mass in that area. Bone grafts are somewhat common with dental implants. Next, to continue to plan for dental implants, you dentist will take dental impression of your mouth. These impressions consist of metal U-shaped trays filled with a soft liquid, almost of a gritty pudding consistency. These trays are inserted carefully into your mouth and you bite down on them for about a minute while the liquid gradually hardens into a rubber-like mass. Impressions are used to create a model of your teeth, gums, and surrounding tissues for your dentist to use when planning your individual implant procedure. Another possible step that may need to be taken to plan for dental implants is tooth extraction. If you have damaged teeth that you are replacing with implants, these teeth will need to come out before the implants can be inserted. For the extraction, you will be given medicine to relax and to block out any pain. The extraction process is usually quick, painless, and has a fast recovery time. In immediate preparation for the dental implant surgery, you will also need to tell your dentist about any medical conditions you have, as well as any medication you are currently taking. This is to make sure that the right medication is prescribed to you after the procedure. Also, depending on the type of sedation, you may need to make other adjustments. With general anesthesia, which is the most common type of sedation for this procedure, you will have to stop eating and drinking eight hours before your procedure and you will need to have someone present to drive you home afterwards. You will also want to fill all your prescriptions the night before, and you may even need to start taking some before the surgery. Finally, on the day of the surgery be sure to wear comfortable, loose-fitting clothes and flat, closed-toed shoes. You will want to arrive to your appointment on time so the staff can get you set up. Again, be sure to bring someone you trust to drive you home and stay will you for at least twenty four hours after surgery.